Make complicated choices in the dark anthology's most game-centric episode yet. Spoilers follow for 'Bandersnatch', the new interactive episode of Black Mirror that launched today. I recommend watching it at least once before reading. 'Bandersnatch' is the third episode of Black Mirror that's explicitly about games, following the third season's 'Playtest' and last year's 'USS Callister'. It's also the first episode that arguably is a game, letting the viewer make binary decisions that shape events accordingly. While I felt like Charlie Brooker's tech-focused dark anthology show was starting to suffer from repetition in its previous season, this feels like something TV has never done before—or at least, done this well. This kind of branching storytelling has existed in games for some time, of course, but seeing Black Mirror try this with its sizeable budget and choice of games development as a subject feels like a big deal. It's 1984 (weird year to pick! ), and Stefan has made a demo for a game called Bandersnatch, based on a fictional choose-your-own-adventure book. A copy once belonged to Stefan's deceased mother. Stefan successfully pitches Bandersnatch to the publisher Tuckersoft, who want to release the game in time for Christmas ("It's July now, so we'll need the tapes in Smith's by November." A very different time for game development). During this meeting, Stefan is introduced to his personal hero, superstar game designer Colin Ritman. Your first choice, designed to demonstrate how the interactive element works to viewers, is a fun one. Which cereal do you want: Frosties, or Sugar Puffs? Neither are particularly filling if you ask me, but after choosing Stefan's breakfast, the show starts handing you weightier decisions to make. 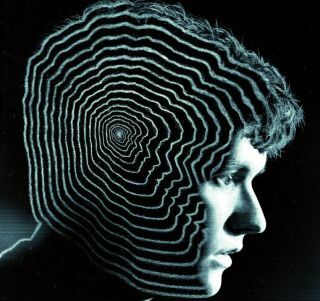 You can let Tuckersoft's developers help Stefan make Bandersnatch, or have him make it alone, which will shape its overall success. The content of the game isn't terribly important to the story, but if you get an ending where it's released, Stefan will get a review score from a TV show called Microplay, presumably a riff on the BBC's '80s computer program Micro Live (I wasn't born until 1988, so I'm slightly out of my depth on that one). Getting a good score is hard. You can then decide whether Stefan discusses his mother's death with his therapist, which will determine how big a role this memory plays in the events to come. Without getting too granular, you can also choose whether to take drugs at a key moment, or commit violent acts, or even decide which record you want to buy. Hanging over Stefan's project is the Bandersnatch source material, the work of a man who murdered his wife and daubed a branching story symbol on the wall in her blood. This disturbing imagery reappears as Stefan attempts to hit his almost impossible deadline. It is actually pretty easy to make a 'wrong' choice in Bandersnatch, particularly when you drive the story into a dead end. At this point, you can rewind to a previous relevant choice, usually from a couple of options. On the first playthrough, I leaned towards more outlandish choices that I hoped would generate the scariest and strangest outcomes, which they did. Over the course of the episode, Stefan gradually becomes aware of the fact he's not entirely in control of his actions. This episode can apparently end in five different ways, with variations on each depending on the path you've taken. It's the first TV show I've ever had to replay, like trying to keep everyone on the Normandy alive during a second Mass Effect 2 playthrough. Following the first viewing, where at the last minute I swerved for a happy ending (of sorts), I tried to make the most sobre decisions possible on a new run to see how it would influence events. This is where I learned there is a definite critical path: Stefan will always end up making the game by himself in his little bedroom and lose his grasp on reality. That said, there's a lot you can miss out on, and even when you make the same choices on a second viewing, Stefan's reaction to them might differ depending on your earlier decisions. It's worth at least two tries to find some of the hidden endings: one in particular, flashing forward to the present day where someone tries to re-release the game decades after it was pulled from shelves, is well worth discovering. The references in this episode are fun, too, but not as overwhelmingly game-y as you might expect, a throwaway reference to The Hobbit text adventure and the Commodore 64's sound chip aside. Developer Jeff Minter plays Bandersnatch's author, Jerome F Davies. The name 'Bandersnatch' references both Alice in Wonderland (allusions pop up throughout), and most likely a British vapourware project that would've been a big story when Brooker was younger. The in-universe game names reference previous Black Mirror episodes like Nosedive and Metal Head, which is possibly a reflection of Colin Ritman's suggested awareness of multiple realities and perception of how time works, or just a fun Easter Egg. With my lazy holiday brain switched on, too, it's hard not to be reminded of BioShock's twist in how Stefan becomes aware that there is a player in control. This was more directly referenced back in Playtest, too. In terms of how the story is structured, I guess Bandersnatch has a lot in common with a Twine game or a Quantic Dream game. Yet the fact that this is presented as TV on Netflix is integrated into the episode's themes and what actually happens, which helps it feel pretty fresh. And while the subject matter is dark, the choices can be funny, or uncomfortable to make, or totally unexpected, signs to me that the creators are successful in attempting this interactive format. It shows you things that a regular Black Mirror episode could not. Bandersnatch's only misfire for me is how it awkwardly conflates the idea that Stefan knows he's being controlled by the viewer with an otherwise hackneyed portrayal of mental health issues. I assume that this is the first and only time Black Mirror will try an interactive episode. Bandersnatch is extremely meta, surely making it difficult for Brooker to take this form of storytelling to any further unexpected places. Making this a one-off would preserve its impact. It's exciting knowing that people are discussing this episode not only in their reactions to specific moments, but in individual decisions and how they felt making them. Just like talking about a game.